The words get inside of me and then become part of me. Very good poem. this is empowering, strange, and beautiful. Another lucid pearl, Robin. Thank you. a poem full of mystery. loved the feeling of mysteriousness it creates. “When a secret begins”…great line. I was going to say that I loved every image in this poem…but they are not really images are they? I am haunted by every thought in this poem, so wonderfully strung together. Great imagery here. I have to say the peacock feather jumps out at you when you first enter the page-beautiful. So poetic with all poetry elements adoring it!Loved it!Rate and review me as well if you get time plz! 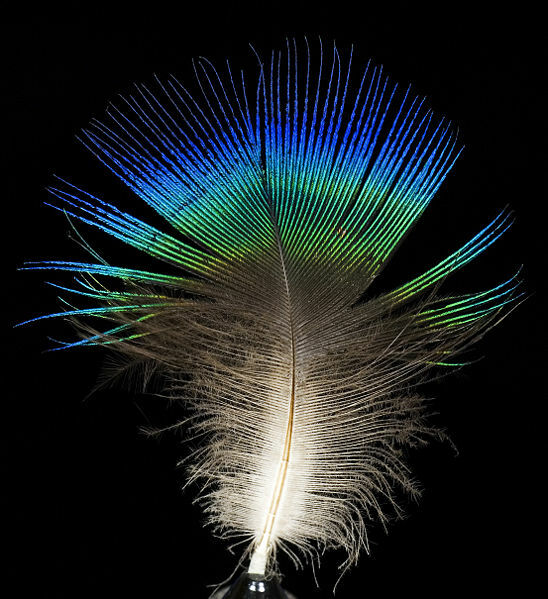 Power, strength…the tenderness of a feather, and of course the mystery of the unknown. Like feathers on a journey to find themselves. You have a way with letting your words reach deep, like roots. I always enjoy your poems. Nice touch, I could tell this peacock feather affected you in your dream. It certainly fits what it means as far as symbolism in a dream; spring, many eyes watching, confidence… Great work translating this to a poem! Thanks for sharing! “I can feel the moments when a secret begins…” I love that, and what a feeling that is, being on the cusp of something truly special and intimate. this is my favorite response ever… thank you 🙂 a poem for a poem. i needed it today…. Intriguing, strange, almost sensual. Love it! When I read “empower me to empower you,” I knew this was going to be a fine piece of poetry.